Fountains | Garden Gate Nursery - Gainesville FL better selection. better advice. Fountains make for a great show under the darkness of trees. Of course, under a tree there will be more cleaning of debris. When it comes to water features one must be careful when it comes to splashing. 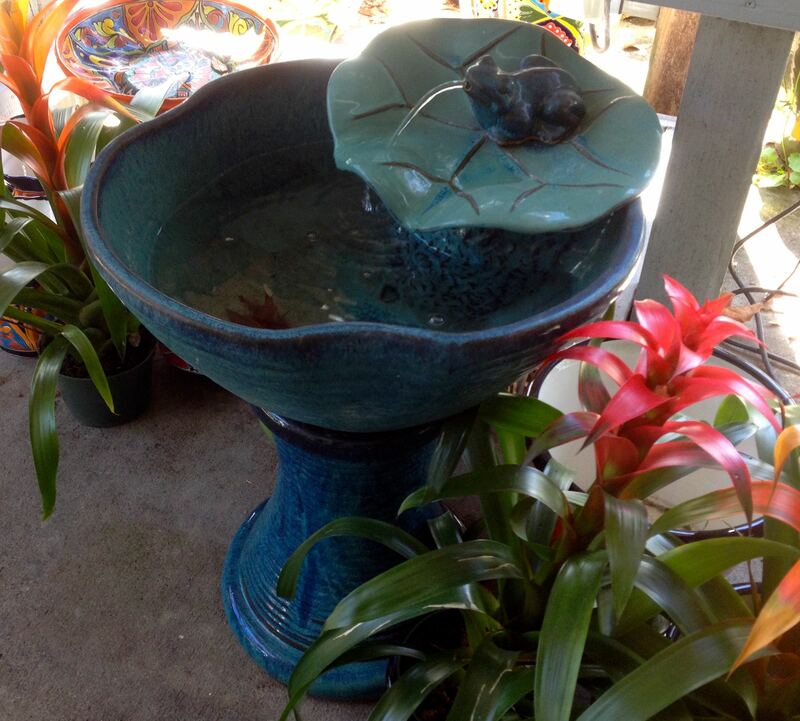 All of our fountains have a basin and pump to recycle water. You just need to provide power to the pump! 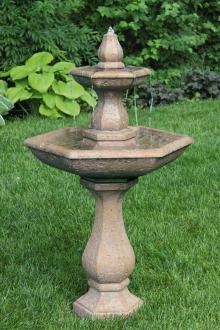 Fountains add color and style to your home, patio or garden. Some provide ambient sound while others are nearly silent. Some fountains have a light feature as well as a water feature. This can be especially nice in the fall and winter months when it gets dark earlier. See something you like? Call Us Now 352-376-4922 and speak with a customer service representative about fountain specifics, delivery and installation options, and current inventory. 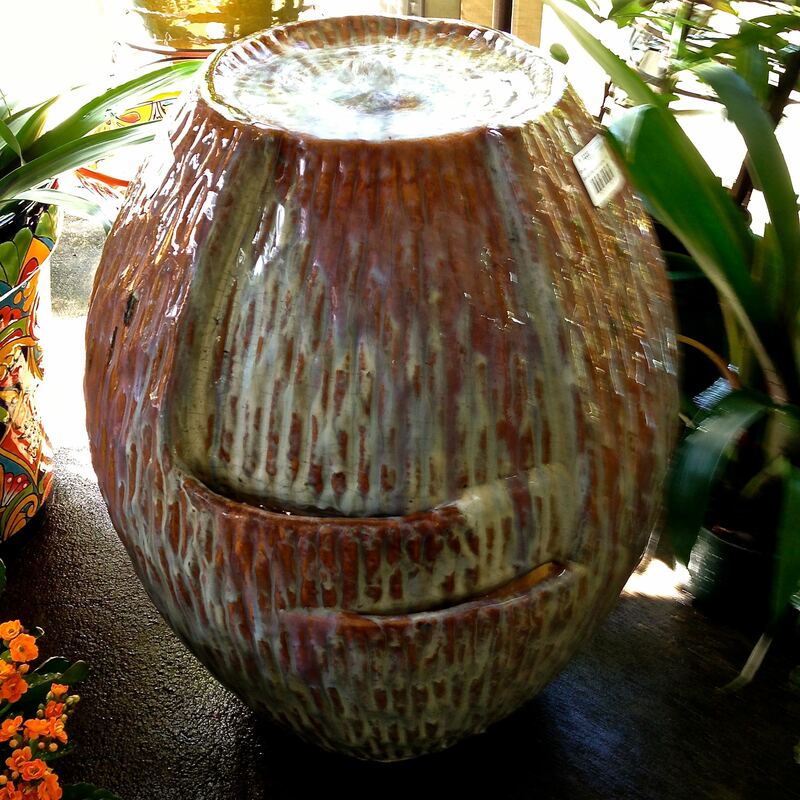 As you can see, our fountains come in a variety of shapes and sizes. Disclaimer: All Fountain Purchases come with compatible pump. If installation is requested, buyer must supply necessary electricity to the pump, in addition to providing a clear and even platform or area for the fountain base. Please note Installation and Delivery are separate charges.